Since the last post way back in May, my computer hasn’t changed much. Back then I added the Razer Mamba mouse and Megaloden Headset. The mamba has been amazing, like spectacularly good for a wireless mouse. Its only problem is battery life. I’ll often leave it on and leave for a 4 day trip at work and come back to find it dead. It’s not a huge deal since it can easily become a wired mouse by plugging it in. My only real disappointment is that as soon as I bought it they came out with a new mamba, all stealth-apple style. I don’t think the new one is vastly different though, it has some fancy lights. I will try to resist the temptation to buy another one. The Megaloden headset is alright. It’s bulky and takes up a lot of room in my suitcase when I took it to DasLAN. I don’t like the fabric ear covers, compared to my Bose Triports, but the Bose has no microphone. The mic is alright when I’m at home in a quiet environment, but was almost worthless in the noisy environment of Quakecon. I’ll probably keep them because the market for them is pretty small. My only big PC news is that, after 9 years, I’ve finally bought a new case for my computer. Since high school, I’ve rocked an old school Lian-Li PC-60 or something. I have pretty high standards for my computers, it turns out. I wanted a silver case to go along with the Apple Cinema Displays which narrowed me down to about 5% of the total case market. Go ahead and try to buy a nice looking silver case, I dare you. You can’t do it anymore. Your computer these days must be black, which is funny because in the past everything was beige and you could never find any black. We kinda went past the goal of customization and ended up back where we started. Anyways, I considered buying a dead Apple PowerMac G5 and gutting and modding it to make a PC from it. Not only extremely troublesome, it would limit me to one DVD drive and wouldn’t be very upgradable. 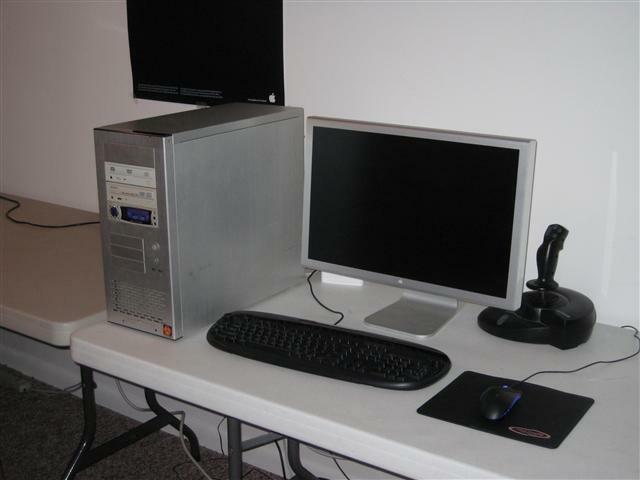 The bar by which I’ve always measured PC cases has been the Maximum PC “Dream Machine” for 2002. 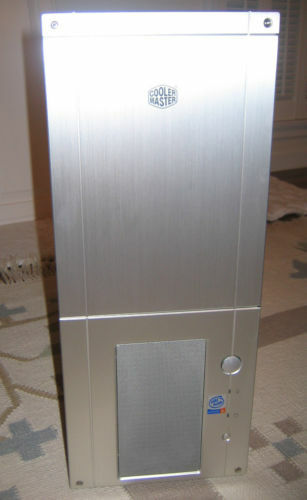 The case is a Cooler Master ATC-110, which went out of production soon after. I’ve occasionally searched for one, usually to never find one, or find one in bad condition. However, I recently came across one on ebay in basically flawless condition and so I pulled the trigger and bought it. I’m pretty excited to get it. It’s almost a full tower, so it’ll be larger than my current computer, but it doesn’t actually go to LAN Parties anymore. I have my Macbook Pro for that now, so I don’t have to worry about traveling with it much. I like the way the door covers the drives, and I have plenty of USB ports on my keyboard and monitors so I don’t need them on the case. Hopefully I can put up some images when I get the computer built. It’ll be fun to rebuild the computer, I never get to do that anymore it seems. I considered buying an i7 setup to make it like a whole new computer, but the Core 2 Duo is still fine. Maybe next year for Quakecon (or whatever we end up doing). Since getting back into PC gaming, I’ve picked up a Razer Mamba mouse, which I love! I never thought I would like a wireless mouse on my gaming machine, but this is something else. I also got a Razer Megalodon headset, which is less impressive but still nice. Longer reviews of one or both may come soon. In Quakecon News, QC is coming sooner than we expect! It’s may already and that means about 3 months to get good at Quake again. If people are interested, I’d like to start a QL night or something where we play some DM/CA/TDM together to prepare. Let me know! My Pre-Quakecon LAN will actually have some thought put into it this year. Can’t wait to see everyone.